Over-ear headphones are much better without cords, but many of them will cost you an arm and a leg. The highly-rated REMXD On-Ear Bluetooth Headphones offer crisp, wireless sound, 15 hours of battery life, and are on sale now for just $35.99 - nearly 30% off MSRP, and the best price on the web. With a wireless range of 33 feet, these cans definitely give you freedom. The Bluetooth connection means you can keep your phone in your pocket, particularly as there are volume and track controls built into the headset. It also has a microphone and an answer button, so you can take calls with the headphones. Audio clarity is impressive, with a large frequency response range, and the adjustable earcups are well padded to provide added comfort. 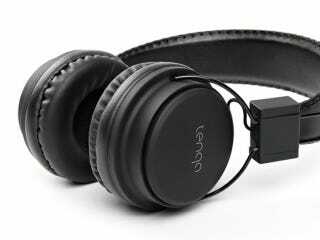 The headphones are powered by their own internal battery — on a full charge, it offers 15 hours of playback, over 20 hours of chatting time, or 160 hours on standby. Shipping is included in the sale price, and should take 1-2 weeks to arrive. Unfortunately, these are only available within the Continental US. Head to the link below to grab yours today.